A leading business advisory firm based in Dublin. 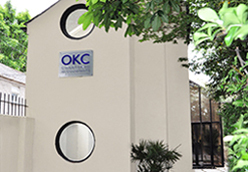 OKC Business Services Limited is an established independent practice of Chartered Accountants and Registered Auditors, authorised to carry on audit work and investment business by Chartered Accountants Ireland. "The service I have received from OKC has been second to none. I am delighted to place on record my appreciation for the professional support provided by Josephine and her team. "John Corcoran, ex-chairman, Paddy Power plc. Click the button below to see why our clients choose us for their auditing, accounting and taxation needs.